In the spring of 2018, Instagram made social posts shoppable. Stores clamoring to sell on Instagram finally got their wish. If you’ve been on Instagram at all lately, you’ve likely seen Vans enticing skaters with checkerboard-patterned shoes and Forever 21 making back-to-school shopping screen-tap easy. One small business owner, Justin Wong, the founder of So Aesthetic Shop, made $12,000 in a month selling Harajuku-style fashion items. While at this point these brands seem far ahead of most small businesses, I guarantee their success started with just a few people in a room, biting their nails, staring at the computer screen… possibly as you are now. New outreach opportunities can be nerve-wracking. Still, small businesses should consider reaching the relatively untapped Instagram user market early. This could be your best chance to become an early adopter. Capturing selling on Instagram could be sweet, particularly if you missed other digital gold rushes. When it comes to Instagram shoppable posts, the only way to test the waters is to dive right in. The good news is, with Ecwid’s help, small business can do it with almost no budget. We’ve been researching the prospect of selling on Instagram since they first began whispering about it last fall. We’re glad we did as Instagram has grown a whopping 25% just since September 2017. Instagram now has 1 billion users, 200 million of whom go to a business profile every day. 80% of Instagram users follow a business on Instagram. 55% of users have purchased products discovered on Social Media. Instagram profiles that win the highest rates of engagement have just 1,000 followers, not 2.8 million like Lego or Vans’ 12.3 million. That means that Instagram users appreciate small businesses and take the time to like and comment, more than they would for the corporate giants. While at first only large brands had the opportunity to sell on Instagram, Ecwid has been working to bring this awesome opportunity to small businesses through Instagram E-commerce. Below you’ll find out what shoppable posts are, how you can benefit and how to set up the Sell on Instagram sales channel in your Ecwid account. Don’t want to wait any more? Head over to Ecwid Control Panel and follow the steps. Instagram Shoppable posts allow followers and customers to easily find out more about the product. Shoppers can complete their buying journey, from discovery to checkout, without ever leaving the Instagram app. Your shoppable posts come right up in their Instagram feed. Instagram users are used to tagging friends. Selling on Instagram by tagging products is not much different, except rather than people, products get the tags. 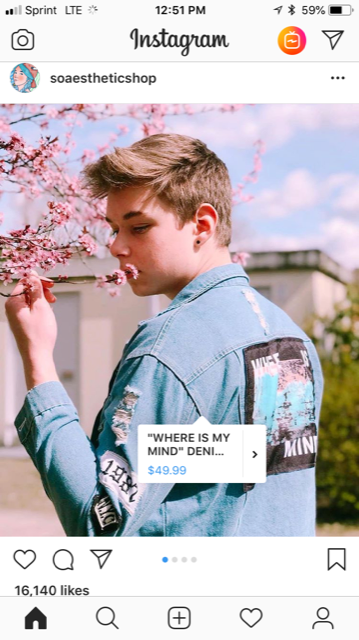 If you’ve been on Instagram recently and tapped a post, you may have noticed that a little shopping bag comes up in the lower left corner as does a price tag over the object. From here users clicking on the tag will be served to a page that contains a product description, similar items featured on the same post and other shoppable posts from the brand. Then, if the consumer taps the Shop Now, they’ll go directly to the product page in your Ecwid store. Despite all of these steps, to complete a purchase, the shopper never has to leave the Instagram channel they love. Ecwid’s Sell on Instagram feature lives on Instagram. After publishing 9 shopping posts, businesses also get a persistent Shop tab on their Instagram business profile. It allows customers to tap to view all products on a post. Businesses ready to push their shoppable posts to wider audiences can buy Instagram ads. You probably already know that Facebook bought Instagram in 2012. Using its current commerce structure for Instagram, Facebook keeps costs low for itself and centralizes users’ store information. Your Facebook catalog products must comply with Facebook’s Commerce Policy. The policy limits items to physical products rather than services or digital products. Also, sellers cannot stock certain goods: animals, weapons, tobacco items and more. If you have an Ecwid store with a paid plan (Venture or higher), you can use the Facebook integration to set up a shop on Facebook easily. You must be located in one of these countries. Get an Instagram Business account, which can be easily set up. It’s free. Make sure your product catalog is synced with Facebook Shop. For Ecwid stores, simply use the Sell on Facebook integration to bulk sync your catalog with Facebook Shop. Again, the reason is that Instagram pulls your Facebook product feed through. 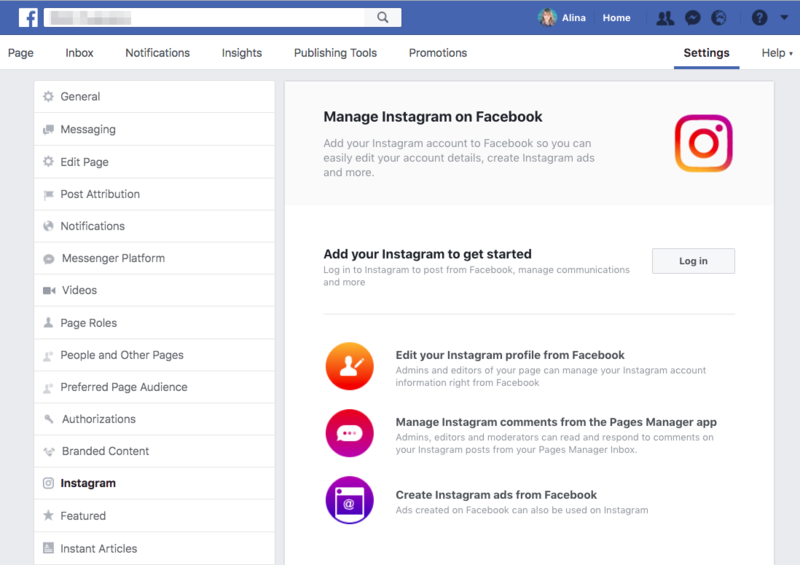 Connect your Instagram account and Facebook Product Catalog. You can easily add the Instagram sales channel to your Ecwid store, which connects the product that you have in Ecwid to your Instagram business profile. To do this, head to your Ecwid Control Panel → All sales channels → Sell on Instagram, then click Connect Instagram. You’ll need to log into your Facebook account page to authenticate your Instagram account. Once completed, Instagram must review your account before you can access the shoppable Instagram posts feature (this can take anywhere from a few hours to a few weeks according to Instagram. We have to be patient; it’s a brand new system for Instagram). Once you’re approved, you’ll see a notification in your Instagram business profile. Tag your first product. When you have the product feature enabled on your account, you’ll find the option to tag products on the screen where you normally add your caption and other information. Selling on Instagram depends on these tags. How cool is that? Ecwid is sure to make it easy for your to integrate your online store with this sales channel. Begin today bringing your products to the dedicated Instagram users craving a convenient in-app shopping experience!